Oh my gosh we’re back again. Good news everyone! We’re back as a fully licensed “event place”. Which means we can have events like other places. Exciting times. We spent the last two weeks making small improvements here and there while we had the time. You most likely won’t notice them except for the fact that we have AIR CONDITIONING in the theater now. AAwww yis! While we are super pleased with our modular theater seating, we do realize some people like to ‘lean back’ rather than ‘lean in’ during shows. We’re looking at a modular bench solution so we can keep our seating but provide some additional comfort. Furthermore! Because we were forced to re-test our soundproofing we learned that it’s better than we thought and almost good enough to carry on shows past 10pm. We’re looking into small fixes to be able to do this – then we’re in real good shape! Continue coming to see shows and laughing your nuts off. Your classic stand-up open mic. Hosted by Toby Arsalan, definitely known to his friends as The Joke Machine. The CCB Improv Jam is an open stage for improvisers looking to practice, have fun or try out longform improv for the first time. Rollercoasters is Berlin’s first dedicated musical improv troupe. Come and join them as they perform a full-length musical based entirely on an audience suggestion. A stand up comedy show in three increasingly weird acts. ACT I: Four comedians perform a short set of their material. ACT II: They each must perform one of the others’ sets. ACT III: They lip sync the others’ insane improvisations as though they were performing material. Freaky Friday* meets Stand Up Comedy on Saturday Night. Berlin Regulatory Agency cares deeply about CCB inventory. 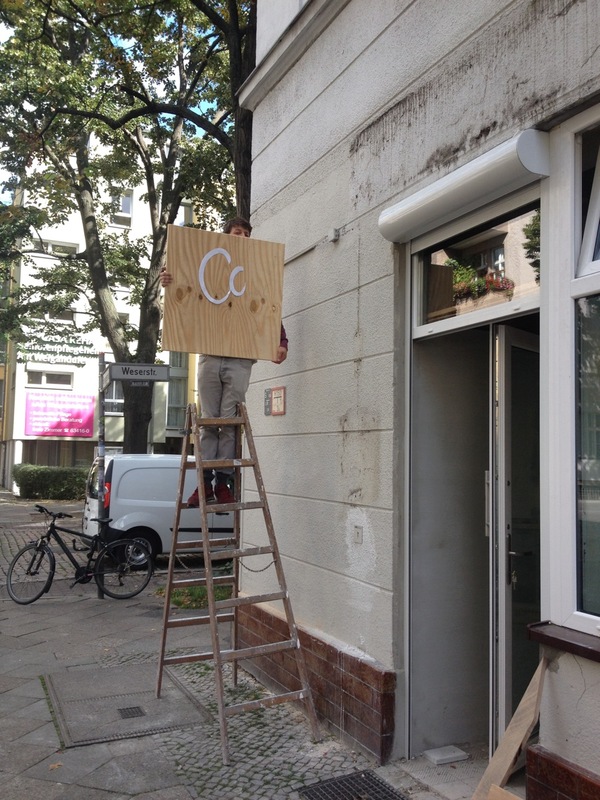 Shows at the Comedy Café Berlin (CCB) will be on a minimum 2 week hiatus as of May 19 after the Berlin ‘Ordnungsamt’ expressed its deep concern for the safety of some stuff stored in the CCB basement. The agency, which enforces rules and regulations for businesses throughout Germany, has told the owners to install an emergency exit in the cellar, for what they can only assume is the safe evacuation of beer kegs and old signs, since the area is off limits to the public and used solely for storage. “We’re taking this very, very seriously,” said Noah Telson, co-owner of CCB, “we do not wish to be fined or even worse shut down.” Telson, who struck an oddly positive tone about the recent developments, says he likes to spend extended periods of time in the basement lying amongst the kegs of Vagabund Brauerei beer, and realizes that the Ordnungsamt “has a good point and we should definitely spend exorbitant amounts of money on this door. I’d hate to think what would happen to all this stuff.” Indeed, the Ordnungsamt has threatened CCB with fines of “up to 4 digits” and possible permanent closure if shows continue while regulations aren’t met. If anyone has any leads on cheap emergency doors and/or knows someone who can do the work please contact the owners at [email protected]. If you’d like to support CCB with a donation, please also send an email. They seem so innocuous but in reality they take a lot of time and thought, especially when you’re balancing three different people’s preferences. A logo is hard work! Well, we’ve worked together with the wonderfully creative Giulia Schelm to come up with something abstract and simple. We also wanted an element of “ah-ha! I get it” – you know… something clever.